Early dental health is very important for your child’s smile and also for creating good long-term dental habits. As a parent, you play a big role in ensuring your child’s smile is healthy and bright, now and well into the future. Keeping your child’s teeth and gums healthy doesn’t have to be hard. 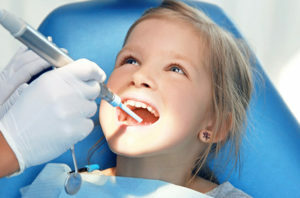 Our staff can provide you with the tips and advice you need to maintain your child’s beautiful smile. Let’s work together to ensure your child has a lifetime of healthy bright smiles! Hill Crest Dental Centre has been providing quality dental care to the Langley, Aldergrove, Fort Langley, and Surrey communities since 2000. We are conveniently located in the Murrayville Square Plaza, at the intersection of Fraser Highway and 222nd Street, in Murrayville, Langley. #502 – 22259 48 Ave. Copyright © 2019 Hill Crest Dental Centre | All Rights Reserved. Website designed by Terminal City Media.